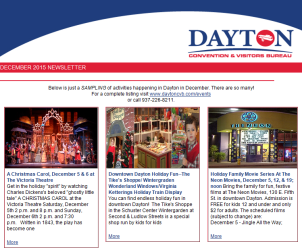 The Dayton Playhouse is a community theatre providing outstanding theatrical productions to Miami Valley audiences of all ages for more than fifty years. The Playhouse is nationally recognized for FutureFest, a festival of new plays. The Dayton Playhouse is located in Wegerzyn Gardens MetroPark on Siebenthaler Road, just north of downtown Dayton.